I am a repeat offender of wishing that I was wearing what the other girl is wearing. I spend time lusting after long, shiny hair and the perfect skin but occasionally I have a day where I reason with myself – everyone is completely different, it’s okay to just be you so when I saw these t-shirts from the brilliant charity Body Gossip I had to have one straight away. 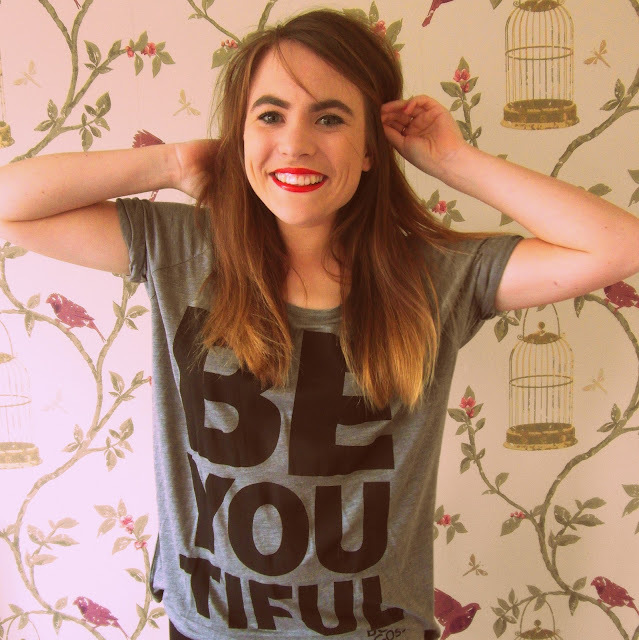 With slogans such as ‘What’s so great about being perfect anyway?’ and ‘BEYOUTIFUL’ they are a wardrobe necessity Not only did I get an amazing t-shirt – I also donated money to a wonderful charity. 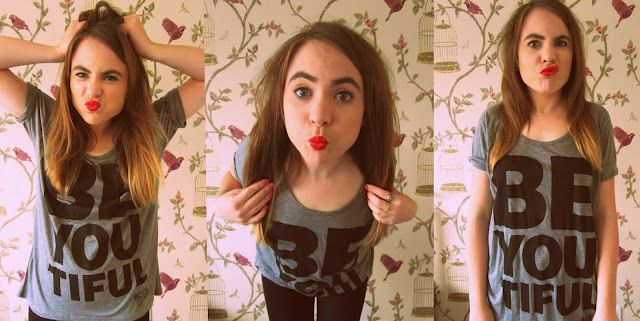 Body Gossip is an award-winning UK social enterprise and positive body image campaign. Any charity supporting and raising awareness around the importance of a positive body image has my vote any day. To get yourself one of these inspirational t-shirts just click here. Remember: these t-shirts come guilt-free – we are donating to a charity after all! This is the cutest t shirt! Also, what lipstick are you wearing in these photos, it's amazing! Such a cool shirt, love it! Thanks for your recent comment on my blog! Thanks for stopping by! I love your makeup, you're gorgeous girl! I had no idea about Body Gossip. Gonna have to check them out! I love that shirt. 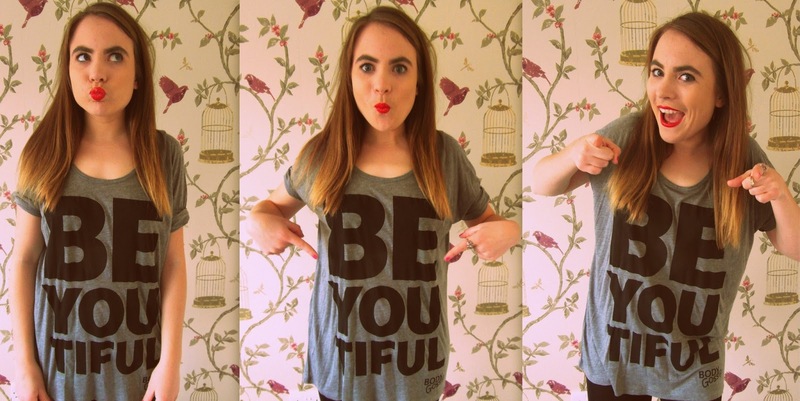 Be-you-tiful. How clever and thoughtful. Messages like this def need to be out there. Hey Hannah, it's Lee here – designer from Body Gossip – the t-shirt looks great on you! Thanks so much for spreading the word. We're about to launch a new slogan – we'll keep you all posted on the facebook page. Have you sent any of the pics in? We'd love to post some. It's Lee here – Body Gossip designer. The t-shirt looks great! Thanks for spreading the word. We're about to launch a new slogan – check the facebook page for updates. Have you sent us any pics? We'd love to post them.